Ciaran Hanks Completes His SWIMTAG Loch Ness Challenge! 11 years old Ciaran Hanks is an inspiration. On Friday, December 8, Ciaran donned his googles, entered the water at the Melksham Blue Pool and completed an epic journey which has seen him swim 1454 lengths of the 25 metre pool, that’s 36.33 kilometres – a distance equivalent to the length of Loch Ness. As a result of his efforts, Ciaran has also raised more than £440.00 for the MS Society. This is the second SWIMTAG challenge completed by Ciaran. His first adventure saw him swim the equivalent of the English Channel, this time raising funds for the Air Ambulance. What makes this story even more incredible is that Ciaran is asthmatic, a condition which, until he began swimming lessons in January 2014, meant he found it difficult to control his breathing in a way that would allow him to complete even a single length of the 25 metre pool. Ciaran says: “Three years ago I would never have thought it would be possible to achieve what I have achieved in the pool and I would like to thank everybody who has supported me both with my training and my fundraising. “As well has helping to control my asthma through learning better breathing techniques, creating a challenge and setting a goal has really helped me to maintain my focus. Lane swimming can be boring but these challenges, along with the opportunity they create to raise funds for some very worthy causes, gives me a reason to keep getting in the water night after night. Since setting up his SWIMTAG account in July 2016, Ciaran has clocked up more than 41 hours in the pool and swam more than 81 kilometres. 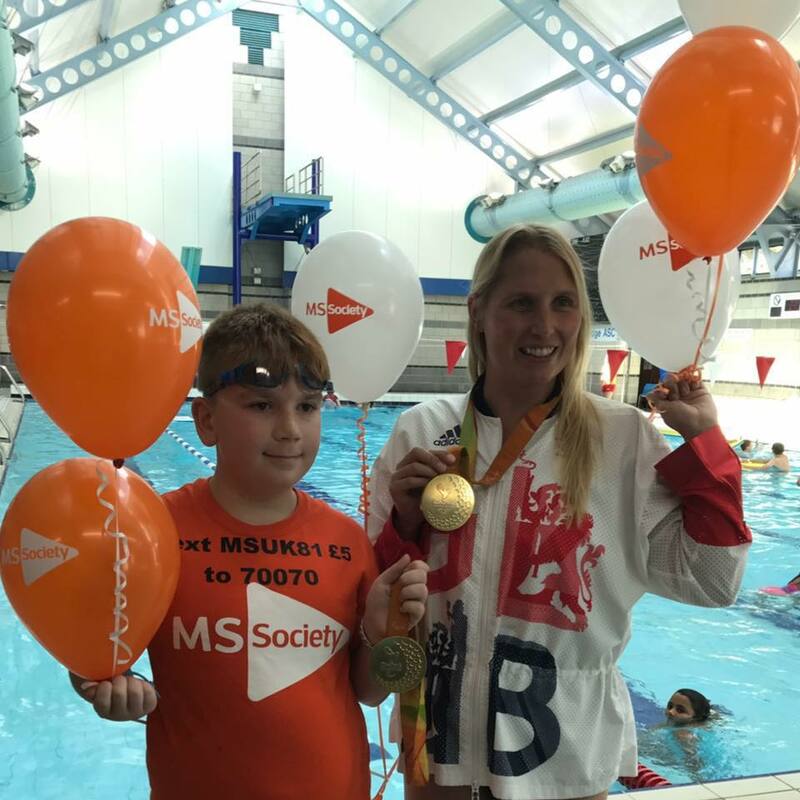 Ciaran finished his latest challenge in the Melksham Blue Pool but most of the journey took place took place in the pool at the Trowbridge Sports Centre. This facility installed SWIMTAG in November 2014 as part of an estate wide roll out by Places For People Leisure. Since then, more than 5163 swimmers have got involved in one or more of the many online challenges provide by SWIMTAG. Esther Levin who is the Places For People Contract Swimming Development Manager for West Wiltshire, says: “Ciaran’s achievements are amazing and SWIMTAG has really helped to bring the challenge to life. Being able to track his progress and evidence his swims has been instrumental in maintaining motivation and encouraging support. SWIMTAG is available, free of charge, to all swimmers at any pool managed by Places For People Leisure. All swimmers need to do is sign up for a free Places Membership. To find out more about Ciaran and to donate visit his Just Giving page at: https:// www.justgiving.com/fundraising/LochNessAdventure.